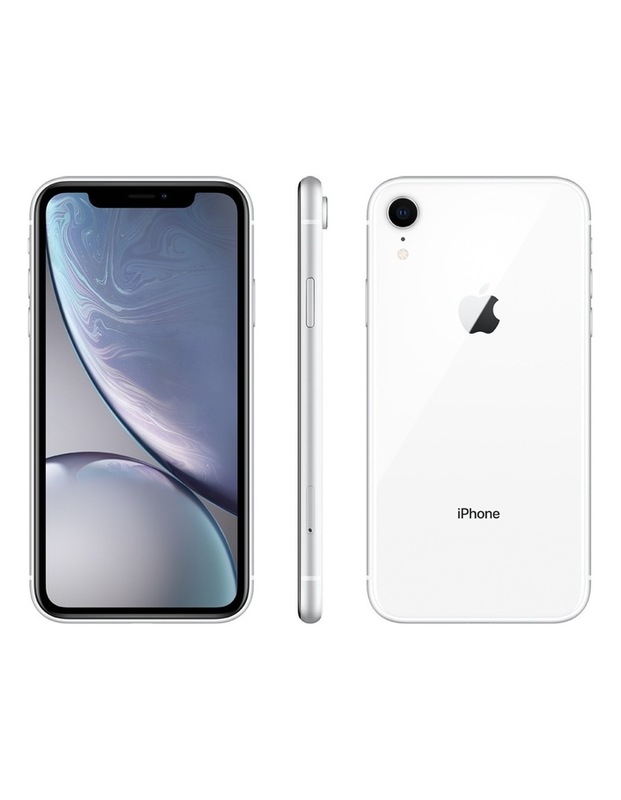 iPhone XR features the most advanced LCD in a smartphonea 6.1-inch Liquid Retina display with industry-leading color accuracy and an innovative backlight design that allows the screen to stretch into the corners.¹ Six stunning new finishes. Advanced Face ID lets you securely unlock your iPhone, log in to apps, and pay with just a glance. The A12 Bionic chip with next-generation Neural Engine uses real-time machine learning to transform the way you experience photos, gaming, augmented reality, and more. A breakthrough 12MP camera system with Portrait mode, Portrait Lighting, enhanced bokeh, and all-new Depth Control. Water resistance.² And iOS 12the most advanced mobile operating system in the worldwith powerful new tools that make iPhone more personal than ever. ¹ The display has rounded corners. When measured as a rectangle, the iPhone Xr screen is 6.06 inches diagonally. Actual viewable area is less. ² iPhone XR is splash, water, and dust resistant and was tested under controlled laboratory conditions with a rating of IP67 under IEC standard 60529 (maximum depth of 1 meter up to 30 minutes). Splash, water, and dust resistance are not permanent conditions, and resistance might decrease as a result of normal wear. Do not attempt to charge a wet iPhone; refer to the user guide for cleaning and drying instructions. Liquid damage not covered under warranty. ³ Apple Pay is not available in all markets. For a list of Apple Pay countries and regions, see www.apple.com/ios/feature-availability/#apple-pay. ⁴ Qi wireless chargers sold separately. ⁵ Group FaceTime will be available in iOS 12 later this year through a software update.